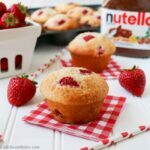 This is a soft, moist, and fluffy muffin that is loaded with fresh juicy strawberries, and stuffed with Nutella inside! Now that the kids are back to school, everyone is back to a routine and back to busy mornings. 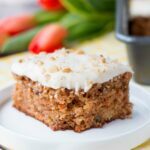 So a quick and easy breakfast treat that can be made ahead of time and that you can also grab-and-go is a huge convenience. These muffins can be made on a Sunday morning to be enjoyed fresh, and the rest of the batch can be saved for during the week. Nothing beats starting off your day with some ripe flavorful strawberries and sweet hazelnut chocolate. It’s a great way to begin any day of the week. 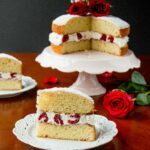 There is no mixer required for this fast and simple recipe. You just mix by hand, bake for 20 minutes and voila, you have warm and delicious fruity muffins filled with melty chocolate goodness inside. 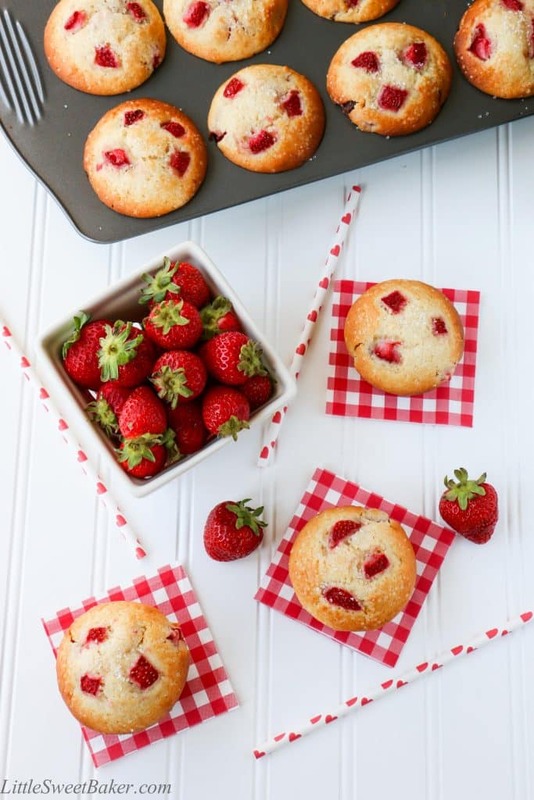 These gorgeous muffins are studded with ruby red strawberry pieces and topped with sparkling sugar, which not only adds some bling, but also a little crunch to the muffin tops. 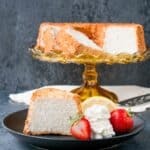 The texture is soft, moist, and airy. The taste of the fragrant and juicy strawberries with the sweet nutty chocolate is like a party in your mouth! Trust me, your taste buds will thank you. Preheat oven to 425F. 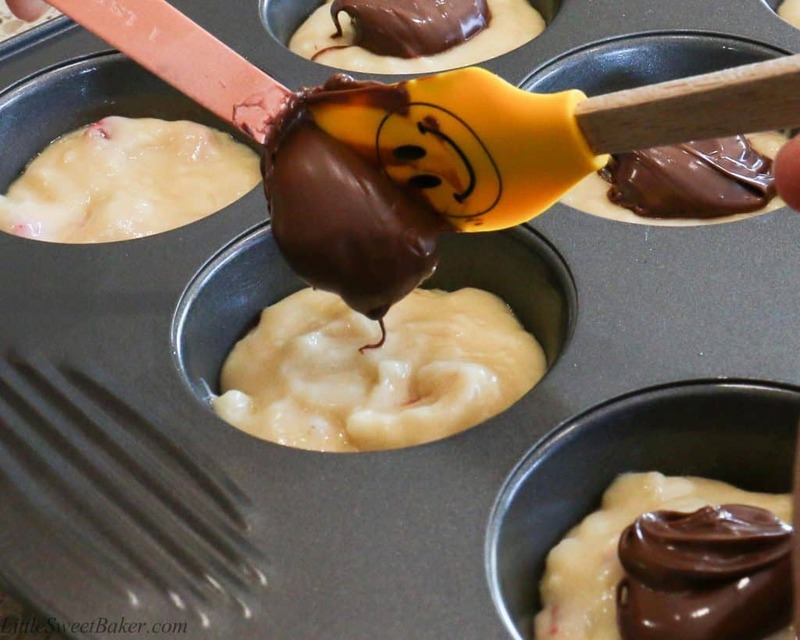 Spray your muffin pan with non-stick cooking spray or line with paper liners. 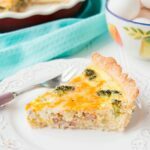 In a medium bowl, whisk together the oil, sugar, eggs, milk and vanilla. Set aside. In a large bowl, whisk together the flour, baking powder and salt. Gently toss the 1 cup of chopped strawberries into the flour mixture to coat. Add the wet mixture to the dry mixture and fold until just combined. 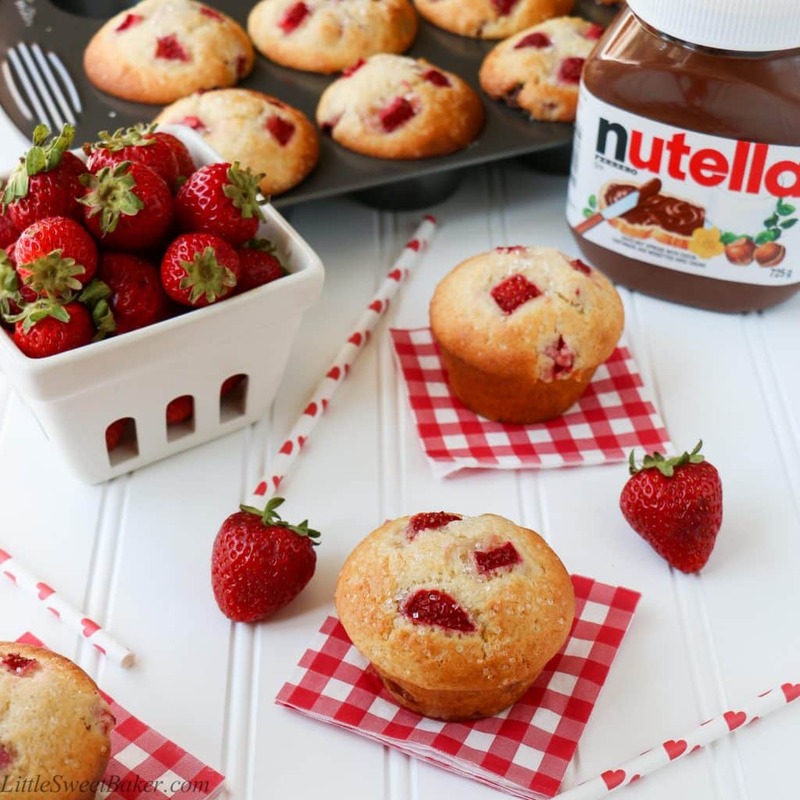 Fill each muffin cup half full with the batter, place a heaping spoonful of Nutella in each and cover with the rest of the batter. Top with the remaining chopped strawberries and sprinkle with sugar.